How to understand human rights? In Chernihiv, the lawyers of the UHHRU Public Aid Centers held special training supported by the Government of Canada. 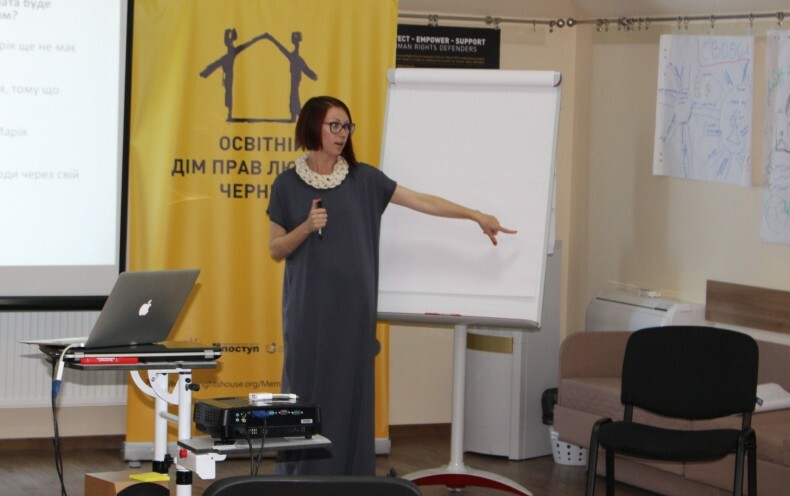 During the week, 11-15 June, the Educational Human Rights House in Chernihiv held a special training for lawyers of the Public Aid Centers of the Ukrainian Helsinki Human Rights Union. The aim of the project was to explain to the lawyers how to advise clients following the concept of human rights. Representatives of the Centers learned how to deal with discrimination in the realities of Ukrainian legislation, why not any legal advice is related to the protection of human rights, as well as how to recognize the strategic case from the every beginning and conduct it using the tools of national, European and world systems of human rights protection. In general, 29 representatives of the Public Aid Centers from several regions attended the training. During the training, they became familiar with the theoretical basis of their daily work. The coaches explained them the modern concept of human rights, its evolution, philosophy, and ethics. The coaches paid special attention to the human rights values concerning legal norms. 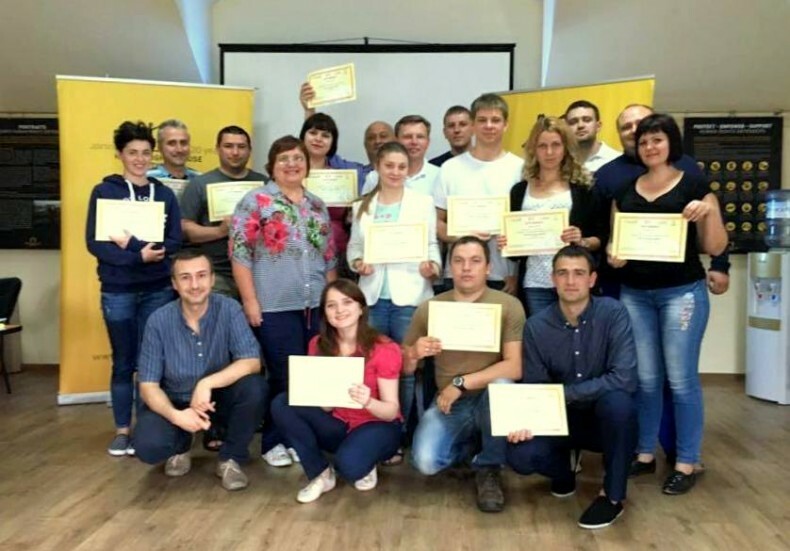 The curriculum of the training consisted of blocks and gradually explained trainees what are possible actions to protect the public interest, and they formed a system of understanding of human rights, Ukrainian anti-discrimination laws and practical work of the UHHRU Public Aid Centers in this direction. “Do not be afraid to apply to courts against those guilty, even if they are officials, representatives of the state” – describes the main personal conclusion Anna Bukreeva, a lawyer of the Public Aid Center in Bakhmut, Donetsk region. The other conclusion is also quite interesting. According to another member of the training, who wished to stay anonymous, “one can be a good lawyer, but not a human rights lawyer.” She explained that in her work when advising clients, she was always guided by the Constitution of Ukraine and national law. The approach that focuses on human rights was her discovery, and she thanks the training. The Government of Canada through Global Affairs Canada within the programme “Human Rights First” supported the seminar. The work of the Network of the Public Aid Centers of the UHHRU is funded by the Government of Sweden through the Swedish International Development Cooperation Agency (SIDA), the Government of Canada through Global Affairs Canada within the programme “Human Rights First” and the U.S. Agency for International Development (USAID) within the “Human Rights in Action” programme.